I love the wide age range for this homeschool science curriculum. It is geared for grades K-6th grade. This allowed all three of my younger children to work together on Science. I love to utilize the same curriculum whenever possible to give us an experience as a team and it saves Mom time in organizing as well. My kids love science but it has always been hard for me to find great programs for them while they are young, that don't speak above their, or my heads. Apologia is absolutely fantastic. Nothing beats a science curriculum that keeps God as the creator of the universe and the focus of all of science. This in itself is a huge blessing the the Christian homeschool community. 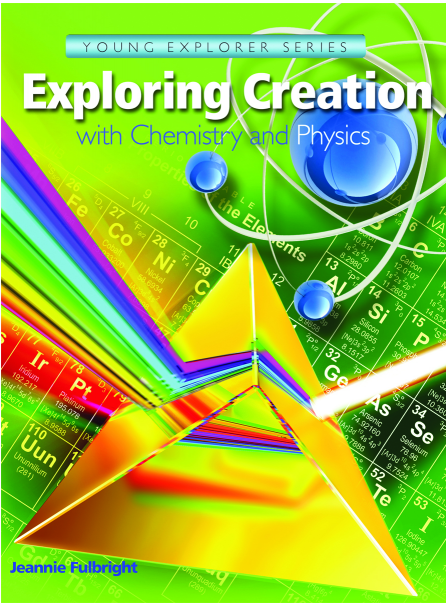 What type of material is covered in Apologia Exploring Creation through Chemistry and Physics? Each lesson begins with my reading the text to the kids. While reading the book we are educated, entertained and inspired. The key words are boldfaced and defined within the sentence.There are opportunities throughout the reading for oral narratives from the listeners to see that they are understanding what they hear. Each lesson has Try This activities, the best part of science! Experimentation.. The experiments truly are the best part for the kids as they sit eagerly listening to me read to get to the 'fun part'. Apologia gives you a lot of easy to follow experiments to give the kids hands on demonstrations of the concepts. Some of the Try It's have very simply requirements, all things you have on hand like playing 20 questions, or checking the density of water. Some others you will need to plan for by utilizing the supply list at the back of the book. We learned about density by seeing if raw eggs would float in fresh and salt water. 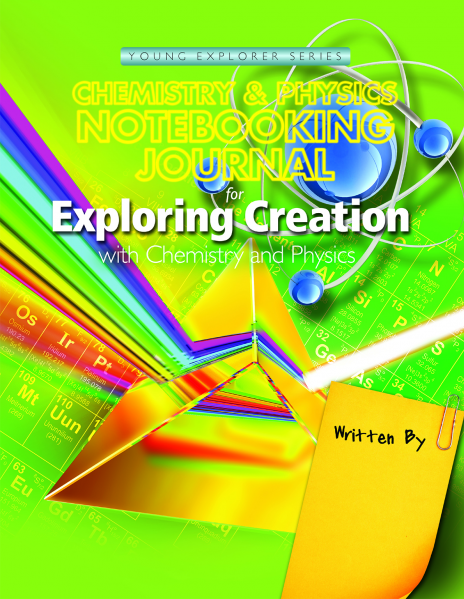 In the beginning of each journal it lists the suggested reading and notebooking pages for each lesson. It has 2 days per lesson. This layout was very helpful to me in keeping on track with what we should be doing. I would read the book to the kids and as I did that they would begin taking some notes in their journals. My 5 year old isn't able to write yet so I had him do some illustrations and drawings of what he was hearing. There are several pages for the kids to write new things they have learned and for taking notes. This section was not utilized as much as I would have liked, but I still am encouraging my kids to fill in some of their new ideas on the pages. The notebook journal really does complete the course. 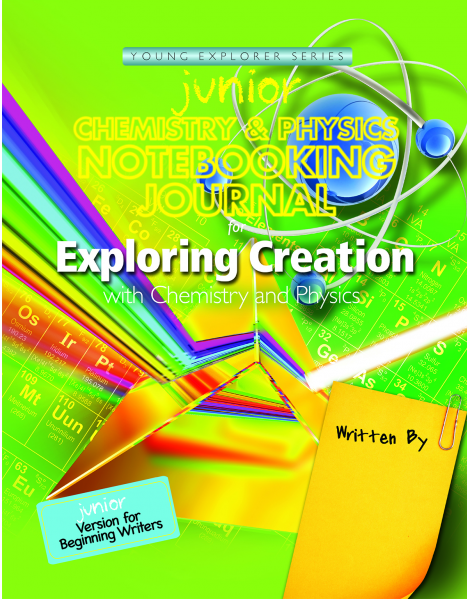 The notebook journals have coloring pages, copywork, crosswords for increased vocabulary knowledge, full color booklets (in the back of the notebook) to assemble and glue into the notebook pages. It covers everything and really makes it fun! This program is incredibly complete! Check out what others from the Schoolhouse Review Team thought of this great program by clicking on the banner below. My kids like science too! My oldest one is 8 yrs and we bought them a science kit so far we have only done two of the projects but they are begging for more. I think Thanksgiving break will be a good time to do some more projects!